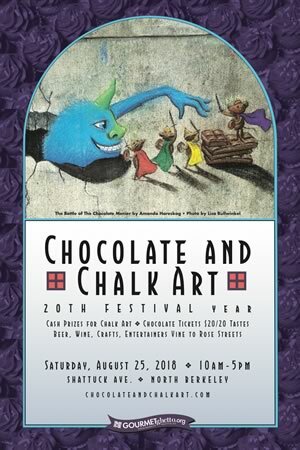 The sidewalks along Shattuck Ave. in the Gourmet Ghetto in North Berkeley are the target of artists young and old, professional and greenhorn during the 20th CHOCOLATE & CHALK ART FESTIVAL on Saturday, August 25. MAKE ART! 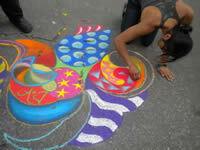 With no fees to artists, areas of sidewalk are assigned for you to create your own fanciful chalk drawings. 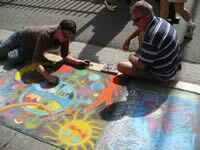 Same-day art registration takes place 10AM-5PM in event booths where colorful artist's chalk is available for $10. A CHALK ART CONTEST for the best drawing will be judged after 4PM. Cash prizes are $150, $100, $50 and runners-up get a $25 gift certificate from Books Inc. Winners will be notified by Wednesday after the event. See prior winners here. EAT CHOCOLATE! Purchase tasting tickets ($1/ea. or 20/$20) at 1451, 1495, 1607 Shattuck Ave. on the day of the event or in advance at Eventbrite. The to-go menu features over 30 items including chocolate rum gelato, English toffee, a chocolate rose des sables, dark chocolate truffles, Oreo shakes, bittersweet chocolate pudding, chocolate ganache cupcakes, or savory menu items such as chocolate-covered pancetta or a chocolate molé taco. For those over 21, there is coffee Campfire stout and for vegans there are cookies, brownies and gelato, too. You might even relax with a hand massage with chocolate-scented cream. Spend your tickets on these delights available in the local businesses then savor your chocolate as you stroll along the sidewalks, viewing the artwork. Chocolate Menu items are available during the hours listed and only while supplies last. Items may be substituted. All items (except the beer) are sold ‘to-go’ only. Sorry – no refunds if you get too full but you may drop your leftover tickets in a raffle jar for specialty items from Peet’s Coffee, Kitchen on Fire, Poulet, Apriori, and the Vine Street Salon. Try stacking 20 from your pack of Oreos that you purchase at the ticket booth at 1607 Shattuck. First one to finish wins a $25 gift certificate from Safeway, and - you keep your cookies. Ten contestants each round at 12, 2, and 4PM. SUPER FUN! Festival booths fill the blocks between Rose and Vine Streets. Enjoy Singha beer or wine near the CVS Performing Area at 1451 Shattuck where you can hear the Rusty String Express (Bluegrass) and Rolling Thunder (Dylan Tribute Band), and at the Books Inc. Performing Area there’s Michelle Lambert (Indie Singer-Songwriter), Coventry & Kaluza (Circus Arts) and young rocker, Lorenzo Wood. This is a family-friendly free event produced by Another Bullwinkel Show, 510.548.5335, and sponsored by the North Shattuck Association, North Berkeley Investment Partners, Vignette Wine Country Soda, Singha Beer, Safeway, Spokes Bicycles, 7x7, 510Families, Berkeley Community Media, Berkeleyside, East Bay Loop, and East Bay Express. 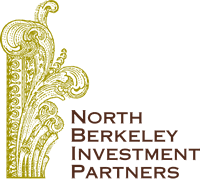 For a good time, take BART to downtown Berkeley and stroll north six blocks. Schedule and Entertainers | Eat Chocolate!